Will Going Vegan Make You Look Like Christie Brinkley? Christie Brinkley turned 61 this year, and she looks pretty great. Incredible in fact. How does she do it? According to some vegan blogs and facebook posts, she credits her vegan diet. That’s funny, because I’m about Christie’s age and have been vegan for some 25 years. And despite my diet, the years haven’t been quite as kind to me as they’ve been to Christie. It’s no big mystery as to why that is. And it has nothing to do with the way we eat. My dermatologist likes to scrutinize my aging skin and remove anything that looks like it could turn into cancer, which I appreciate very much. But I don’t partake of any of the modern technology that Christie probably uses—things like laser resurfacing or hyaluronic acid fillers, or botox. I’m not saying I’d mind having those things, but my health insurance company gives them a big thumbs down. This probably doesn’t create much of a barrier for Christie. I don’t hate you, Brad. And I don’t hate Christie either. She seems like a lovely person. She has a heart for animals, for one thing. And I thought she was delightful in Parks and Recreation. I don’t like it though, when vegans over-hype the benefits of a vegan diet. Recently I’ve been immersed in the research on ex-vegans in preparation for a talk at Vida Vegan Con last month and one at the Animal Rights National Conference next month. People abandon vegan diets for many reasons and one of them is that they lose faith in the benefits of eating this way. Is it any wonder? We tell them that the pounds will just melt away or that vegans don’t get cancer or that vegans can count on aging as beautifully as Christie Brinkley. And what do you know–somehow they figure out that these things aren’t true. They figure out that they can drink kale smoothies from now until forever and they still aren’t going to look like a super model or be bullet proof when it comes to chronic disease. They might look at other celebrities like Catherine Deneuve (age 72), Meryl Streep (66) Michele Pfeiffer (57), Sigourney Weaver (66), Emma Thompson (56), Annie Lenox (61). None of them are vegan (to the best of my knowledge) and they all look pretty great. It’s not too hard to figure out that many wealthy gorgeous women manage to age beautifully no matter what they eat. There is also this—I find it tiresome when people tell me that this supermodel look is what I’m supposed to aspire to. It’s sexist and it’s ageist. Because there is nothing wrong with getting wrinkles and gray hair. There is nothing wrong with looking your age. Or even with looking older than your age. The only thing that matters is how you live your life. You don’t have to be slender and wrinkle-free and toned and firm and disease-free in order to be a voice for animals. You just have to choose an ethic of justice and integrity and compassion. And unlike perfect health and supermodel looks, that ethic is available to anyone. It also appears to be more effective in helping people stay vegan for the long-term. That’s one of the things I learned as I waded through the surveys and studies on how to best promote effective behavior change and a long-term commitment to veganism. I’ll share a little bit more about that next week. I’ve seen a lot of bad health claims made by vegans, but not one of them has been that vegans don’t get cancer, as you suggest in your post. Any examples of vegan folks making this claim? I can’t link to examples, because as far as I remember I’ve seen this only on facebook and twitter. But, I’ve seen plenty of claims on these sites that the right kind of vegan diet will prevent or cure cancer. 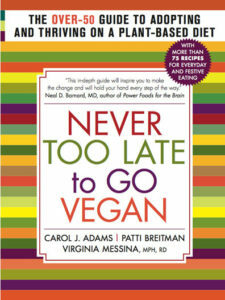 There are thousands of case histories of people who are vegan that have reversed stage 4 cancers like mine. I don’t know of anyone that is honest who has said veganism cures cancer though. Actually, I’ve heard Dr. McDougall make a similar claim, but then again he claims his diet will cure everything from acne to arthritis (just peruse months of his facebook page; you’ll see). All that said, I do believe veganism had the “cure” for my high cholesterol and high blood pressure, and I’m no McDougall diet follower. As far as cancer, any of us can fall victims to illness. It’s just the flip of the coin of life. Sad but true. I have seen in numerous discussion threads on various facebook group pages where vegans, particularly the whole-foods, plant-based folks who are SUPER strict about zero oils, processed foods sugars, etc maintain that if you eat as they do, you will not get cancer (or that you can cure it) or get even so much as the common cold. While I have certainly seen that a healthy vegan diet improves your chances at better health, it drives me mad to see people make these claims, as well as the other claims regarding physical beauty that Ginny touched on. Great article! Our ethics and compassion for animals matter more than our looks. Looking forward to reading more next week. 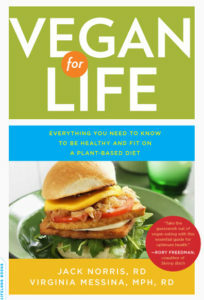 BTW, I did read about a year ago that Michele Pfeiffer recently became vegan. Not sure if she still is. Bu I think that like Christie B., Michele was born to be beautiful. Great article. Thank you for writing about this. I get targeted ads all the time about women who reversed wrinkles and look 25 while they are apparently 50+ thanks to one thing or another (photoshop i assume). It’s annoying to see veganism used that way too. Yes photoshop and honestly, if I had that kind of money and life style I’m pretty sure I would look 25 also. Grant it, good genes play a role and certainly diet but hiring the best trainers, chefs, plastic surgeons ect. helps. I am 64, a vegan and look fantastic and can’t help but wonder how much more fantastic I would look with millions of $$$$$ supporting my choice. Beautifully said, and a very important thing to say. Thank you for taking the time to write this excellent article. A huge reason for anyone to be vegan is that so much solid research shows a correlation between a eating wholefoods, plant based diet, and better health.That motivates me to stay eating this way because, despite my aging, (wrinkles etc), it grants me confidence that I’m giving myself the best chance for a healthy long life, no matter what my genes are doing. Living a wholefood vegan lifestyle, (inc B12, plenty of exercise, love ‘n laughter), currently assures human beings the best quality of life possible at this point in history. Natural limitations being a given for us all who would not want that? Great essay, as always. I’ve never hyped the health or appearance benefits of a vegan diet. When I went vegan (over 25 years ago now (yay me–yay animals! )), I didn’t expect any health or weight benefits, though I was pretty sure I wasn’t harming myself, either! I didn’t expect any changes — and lo and behold, I didn’t get any either. When I went vegan exactly nothing happened physically — my weight stayed the same (#huskyvegans) and my health (which was already good) also stayed the same. In retrospect, I AM REALLY GLAD that nothing changed — because of my experience I never felt credible about using health benefits as the main way to promote veganism. A well-planned diet of any sort is healthy. A well-planned vegan diet is compassionate. Thanks for another good read. I’ll share this with my local vegan group! Thank you for an excellent article ! !~ YAAASSSSSSSS I totally agree with you all the way, YES !!! I don’t even care for the looks/supermodels beauty… who cares !!! I am looking forward to your next blog, thank you for being you !!! I don’t know, Ginny, I think you look pretty great. And you’re doing great things, too. Thank you thank you thank you! I sometimes get this feeling like I’ve done something wrong just because I look my age! (I don’t color my grey hair, for example, and don’t want to!). I just love your second to last paragraph! The whole article is the perfect antidote to the ageist society we live in! Thank you for this wonderful essay, Ginny. There is another factor in this discussion, though, that you haven’t mentioned: veganism is good for the PLANET. Because of that, I would not use Christy Brinkley’s methods for staying young even if I could afford them, because THEY UNNECESSARILY CREATE WASTE, waste that further pollutes our environment. Excellent points by Ginny and in several comments! As alluded to in the comments, there are a great assortment of vegan diets. So, can be quite beneficial to one’s health while others not so much. Are the benefits overstated? Well, perhaps it depends on which vegan diet (and which alternative) we’re talking about. Nevertheless, an important observation about intersection of sexism, ageism, and classism, as well as a worthwhile consideration regarding the fruitfulness of strategically employing or not employing “health” and “beauty” in winning over converts. Whatever helps animals and the planet works for me. Agreed! I’m fairly certain that Christie also gets regular facials, body scrubs, massages, and other deep beauty treatments. I also saw that she has a pretty amazing greenhouse, so it’s fair to assume she has a diet that’s high in veggies (which actually isn’t the case for all vegans). Genetics is part of it, but I’d say Hollywood owes its aging to well-paid nutritionists, fancy supplements, expensive spas, and (lets not forget) plastic surgeons. The kind of pressure they’re under with all the photo ops certainly gives them the incentive to go hard for health even without a specialist in face lifts. I’ve seen everyday women who are aging amazingly thanks to healthy doses sunshine, diet, vitamins, and facial exercises, so it can be done. It’s different for everyone though, and photoshopped models and celebrities aren’t a realistic (or even real) example. Hi Ginny, this is a great article. 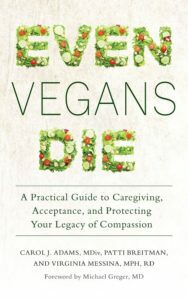 I am probably about half your age, but I certainly felt betrayed by the exaggerated promises of idealized veganism at one point – why didn’t I look like such and such famous vegan who was my age and why didn’t my cravings for less-than-optimal foods ‘magically vanish’ like others claimed, etc. I finally came to understand that my veganism is fundamentally about sparing lives, both those of the animals and those of the people whose staple foods are being bought up to fatten the animals. But I also wanted to say simply that I think you are selling yourself short; you are very beautiful, and certainly more impressively so than someone who’s entire vocation in life is to look good. Thank you so much for saying what needs to be said. It is interesting to me that non vegans want me to promote veganism a diet for health and youth, because that makes it more a personal choice rather than an ethical imperative. 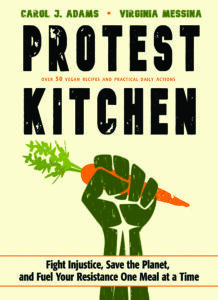 I have noted that the plant-based doctors, Esselstyn, Campbell and so on, look healthy but not particularly young. They are lean and have their share of wrinkles and sagging skin. Note the non vegan sources of many anti aging treatments such as Botox, also. I think Michele Pfeiffer is a vegan and I don’t think Brad Pitt has aged well at all! I hate to disappoint you all the Christie Brinkley is not vegan. She is vegetarian. She eats cheese honey chocolate milk and fish that I know of and possibly other animal products. She also wears leather. 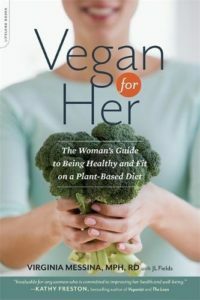 She described herself as vegan for publicity when her book was coming out. Her daughter is vegan however. Just setting the record straight. Just to correct u Michelle Pfeiffer is vegan since 2012. I’m glad someone pointed out that Brinkley is not vegan and also wears leather as most of the celebrity vegans seem to do. I have wanted to go vegan for years and have already given up beef, pork, and dairy. My only reason is the animals. When I was younger and growing up on a farm, I guess it didn’t bother me. It bothers me all the time now. My biggest problem is that I can’t eat soy. After going through through uterine cancer, my doctor said no soy products. I guess I need to find a vegan nutritionist.